Do You Know Who Is the Best DJ In The World Right Now ? Causes Of Wearing Headphones For The DJs? When you are DJing for small a party, or hosting the biggest jam of the year, you need to have the right pair of headphones to get the best quality beats. For many audiophiles, picking the Best DJ Headphones Under 100 is highly subjective, especially for those who have been hustling the craft for some time. However, regardless of personal preference, there have been many established DJ headphones that give the best beats for under $200. Selecting the best one on a budget if you don’t have a favorite is essential, and even if you do have a pair, it would benefit you to look at the list to consider other options that might be better. 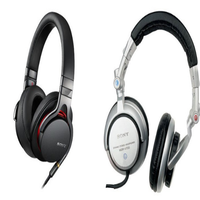 Selecting the Best Dj Headphones Under 200 isn’t as tricky as it sounds. Many DJ’s are of course looking for the right sound that comes from their headphones. It depends on the genre of music you generally play, or what spot you are playing at. But as a DJ, you need to feel comfortable with every beat. Comfort is also something to consider. In general, DJ headphones are tight to prevent slipping off. While some jockeys might be uncomfortable with the squeeze on the ears, many are comfortable with it; especially if the comforters around the ears are the right texture. The band also plays a role in comfort. Most sets have bands that are narrow, and some can expand. This feature can help with giving extra grip to prevent slipping. Finally, the price obviously matters. You don’t need to sell out massive cash to get the best pair, read on to learn more about the top 5 DJ headphones under $200. The Sennheiser HD25-1 II has been around for a while, but they have a great reputation. I included these on the list because many DJ’s who have been around for some time often swear by them, but how do they compare with other phones? Sound Quality: The sound has a good range of highs, lows, and base. However, many people claim that the midrange is somewhat washed out. Meaning that if the music is mostly mid, it will sound somewhat dull. 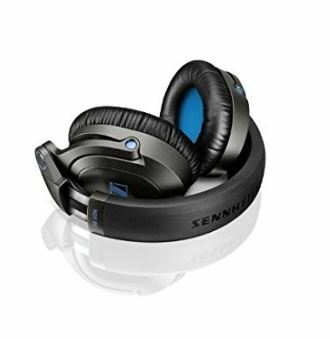 Sound Stage: The Sennheiser HD25-1 II Closed-Back Headphones is lacking in this department. It is difficult to feel immersed in the music as you host, and may end up feeling you are outside of the beats you are making. Build Quality: The build is plastic and durable, and you are able to customize the hedges to make them fit your head better. Another point for build is the band can split, meaning you have the option to get more space to prevent slippage. sturdy yet light at around 5 oz. The sound highs have great peaks, and the lows are deep. The build is durable and light. Its ability to play base is among the best on the list. The midrange sound on the HD 25-1 II is lacking. The immersion factor with these headphones is average at best. 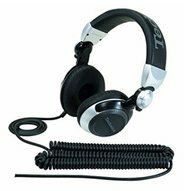 The Technics RPDJ1210 Swig Arm DJ headphones have a great sound at a great price. 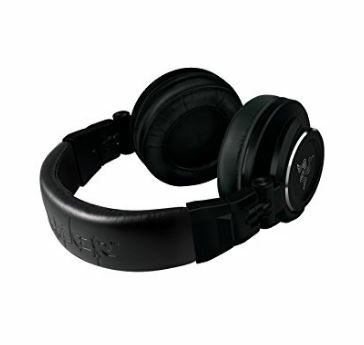 In general, these headphones are excellent for DJ’s looking for phones that they can depend on. 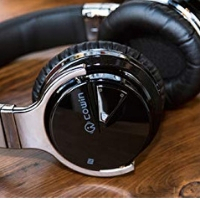 Sound Quality: Great with a good base and ability to reproduce sound at high volume, and they have great sound reproduction, allowing you to hear every beat. Sound Stage: The soundstage is around average with these. This isn’t their best feature, but also not their worst. With the right song, you’ll feel like the must is right in front of you. Build Quality: They are very durable at 8 oz and sturdy to take on the go. However, the bulging silver plastic clunky. The cups rotate and are foldable for easy storage. The cups rotate to allow you to find the right comfort. These are one of the best phones to use if you’re playing a lot of bases. Also, one of the best if you travel a lot for gigs because they are quite durable. they can rock if the sound gets too loud. This may make it easier for them to fall off. Relatively clunky and the silver finish looks awkward. The Allen & Heath Xone: XD-53 Professional Monitoring Headphones are excellent for the club scene. 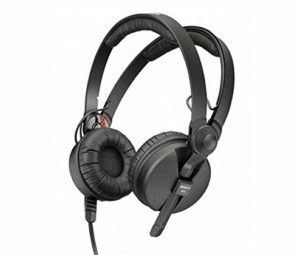 These are one of the more adaptable headphones on the Best Dj Headphones Under 200 list but are best for DJ who has been working for a while. 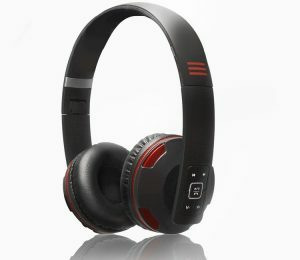 Sound Quality: They are excellent in loud settings because they allow the blockage of external sounds. The sounds that these phones produce is accurate, allowing you to hear every beat during a session. Sound Stage: The soundstage is excellent as you can feel surrounded by the beat. Build Quality: Another feature is the cups’ ability to rotate in every direction, allowing you to find the most comfortable position to wear them. As for comfort, the leather pads will shape to your ear over time. Finally, the band can bend and twist in ways other headphones can’t. The band and cups are very adaptable. You can wear them to best suit your personal taste. The sound is accurate, you can hear every sound even in a lot of noise. The soundstage is great as you feel submerged in the music. The band is, despite its flexibility, is too loose if you’re not used to that kind of build. 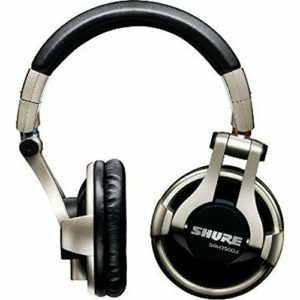 Shure SRH750DJ Professional Quality DJ Headphones are really awesome for their ability to cancel noise and seem to have a remarkable ability to pick up sounds most other phones can’t pick up. These are a really good set if you enjoy the loudest beats for your bucks. Sound Quality: The SRH750DJ can pick up sounds in the very high, low, and vocals. This makes them one of the more accurate phones as it can pick up sounds other ones can’t. Also has the ability to cancel outside sound. Sound Stage: Excellent because of the sound canceling and accuracy. This headphone has the best immersion of the list in my opinion. 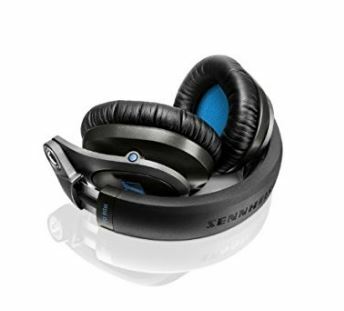 Build Quality: They are durable, and they have a foam ear cover which is reasonably comfortable. However, many DJ’s will say that the 750s feel a little tight. One feature, however, is the band can extend somewhat to allow for some adjusting. Loudest Best Dj Headphones Under 200 on the list. They can pick up a variety of highs and lows, making them one of the more accurate headphones listed. Good immersion, you’ll really feel the beats as your host. Lacking in comfort. Although they are slightly adjustable, it may not be enough if you are unhappy with tightness. Able to handle loudness, but will rock if the music has too much base. The Numark Red Wave DJ Headphones are red, chunky, and bulky. They sure stand out whenever playing a gig; you decide what’s good or bad. 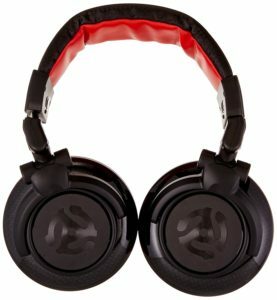 In general, these are great for casual use, or if you’re not looking to be a DJ as a major hustle it would be Best Dj Headphones Under 200. Sound Quality: They are also decently loud and have a booming base. However, they do lack some clarity, so some music will sound washed out if it lacks base. Sound Stage: Soundstage is decent, but you’ll feel immersed the music unless it has a good base. Build Quality: They are light, but they are not very durable. The hinges on the cups can break if you’re not careful. Not recommended for too much travel. They are easy to wear for a long time because they are light. These are the best casual headset if you are looking for casual use. The base is booming, but may not be the best on the list. Not durable, and not recommended for a lot of travel. There is a lack of clarity on these. This makes it hard to hear every part of the music. First of all, it’s important to remember that every DJ will have their own opinion on their favorite phones, but this review is for general “best of all” features. That’s why in this DJ headphone reviews 2017 for under $200, the best set is the Allen & Heath XONE XD-53. 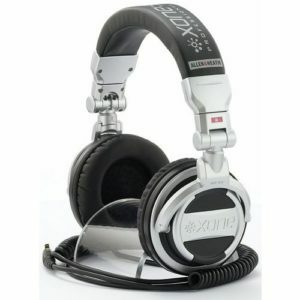 These are generally the best headphone set to use, especially if you want to make DJing a sustainable hustle. They have a good ranking with sound blocking and very adjustable. You can overcome the looseness, if that is a problem, by finding the right adjustment that suits your style. Most importantly, the sound is accurate, allowing you to share every beat to its fullest so this headphone is the Best Dj Headphones Under 200.